by Stacey J. Bell, D.Sc., R.D. 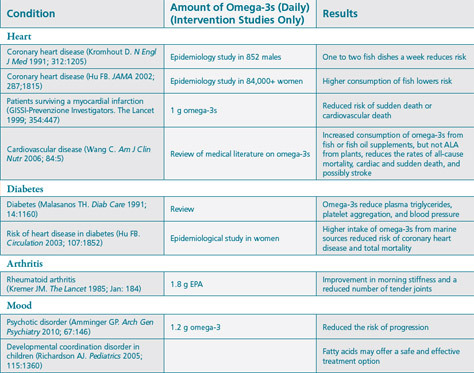 Both epidemiological data and intervention studies have shown a role for dietary omega-3s in health management. 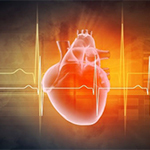 Individuals who have the lowest intake of omega-3s are at greater risk for cardiovascular and related conditions. Patients with these conditions, as well as those with joint issues and mood disorders, benefit from taking omega-3s in excess of the recommendations for healthy individuals. As indicated below, the consumption of phospholipids in conjunction with omega-3s may bring additional health benefits. Compared to fish oil as a triglyceride or as an ethyl ester, omega-3s from phospholipids produced the highest incorporation of total omega-3s, EPA, and DHA into the plasma phospholipids. In fact, the same increase in plasma EPA (146%) and DHA (43%) occurred after ingesting 62% less omega-3s from a phospholipid-rich krill oil compared to fish oil. The increased absorption was related to how phospholipids are digested. Fatty acids esterified to phospholipids are broken down by pancreatic phospholipase A2, which preferentially allows for the absorption of fatty acids in the sn-2 position. With phospholipids, there is a 50% increased chance of having an omega-3 on the sn-2 position over other triglycerides and ethyl esters. Krill oils in recent studies have been used as the phospholipid-based arm of the studies. Three clinical studies showed that small to modest amounts of krill oils produces significantly efficacious results compared to using fish oil at more than double these amounts.